The internet is cluttered with advice on how to grow your blog email list. Meanwhile, startups and small businesses are struggling to allot the time, resources, and budget to a full blog strategy. How can we afford to write new content weekly? Who will manage the email marketing? Wait, there's more to running a blog than just writing words? It's time for a new, sophisticated approach to all the above. In this talk, you'll learn how to optimize and automate your content marketing to save your team time while building a truly efficient and effective content engine. Sound too good to be true? You'll just have to attend to find out. 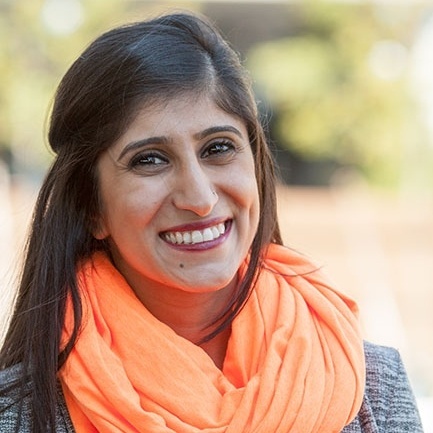 As a former Senior Growth Marketer at HubSpot, Anum lead content strategy and demand generation for HubSpot's sales products while managing an incredible squad of growth marketers who spend every day researching, executing, and experimenting with content - spanning everything from offers to emails to nurturing. In 2015, Anum was listed on BetaBoston's 25 Most Innovative Under 25. She's been rated a top 5 INBOUND speaker three years in a row. After five incredible years at HubSpot, Anum is now enrolled at MIT Sloan School of Management. When she's not focused on her MBA, Anum enjoys spending time with her family, eating cookie cakes, and talking about Harry Potter. In fact, Beyonce is her patronus.